Christmas is coming. There is still enough but the streets and storefronts are beginning to adorn themselves to receive it. 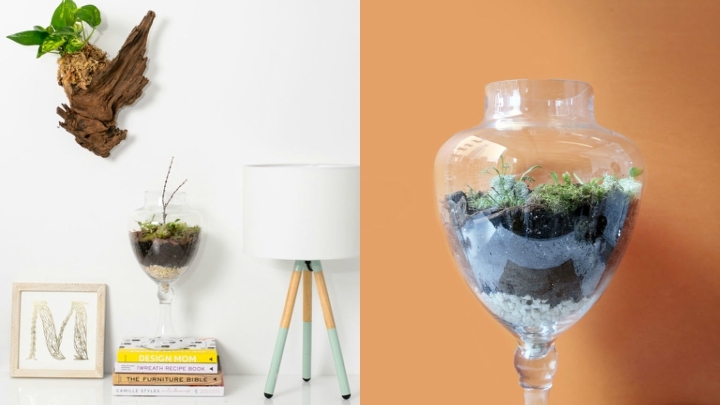 If you want to start thinking about decorating your house I propose a simple and beautiful craft; It allows a degree of customization you can create a single motif and fully adapted to your tastes and style of your home. It is making a ball home snow, the kind that you shake and fall flakes in the mini landscape created inside. But now you will be you who choose the elements on going to snow and type of container that will host. That does not have to be necessarily shaped ball … I’ll explain everything then. A small figure, one that you like. It can be a Christmas motif purely as a fir or a reindeer, or another that has nothing to do with Christmas. The effect will be very cool as well. If you use several very tiny you can even create a story. A glass jar with lid. It may be type Mason Jars, for example, or any of preserves, the size you prefer. 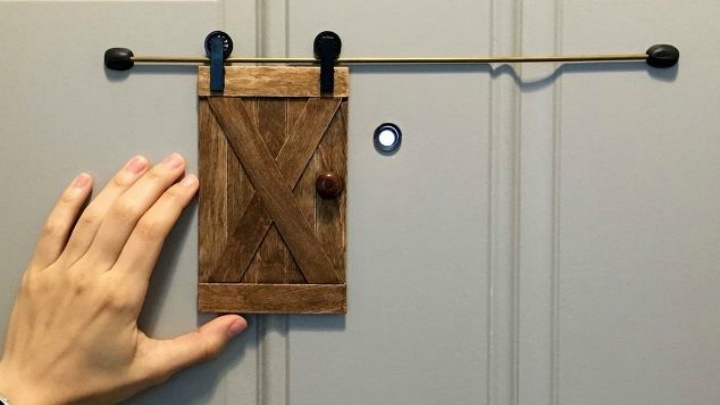 This DIY is very simple and there are several ways to do this. 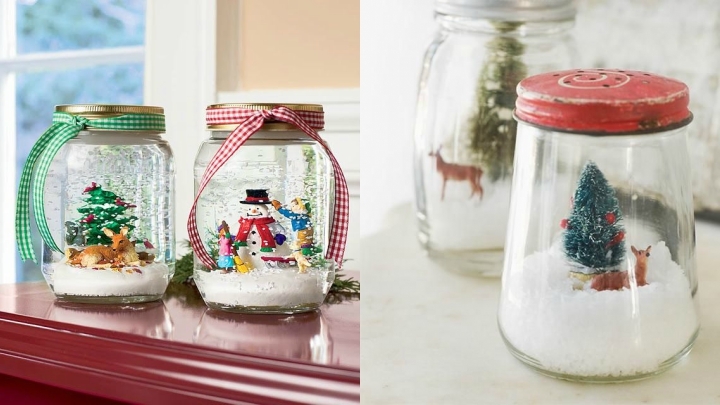 One involves sticking the figures chosen at the top of the bottle, fill it with snow or glitter and add water to make the effect of falling snow. Close the pot and, thus, be, say, face down, with the lid resting on the surface where you place it. 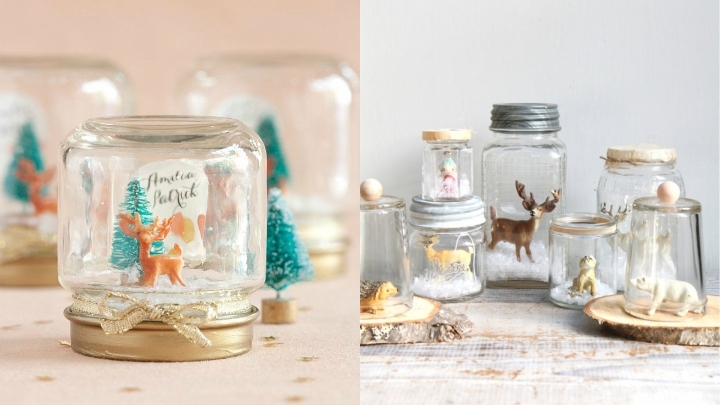 Another option is to glue the figures in the bottom of the jar, in its normal position and close the lid; you can decorate with some ribbon with Christmas. Your custom snow ball can be made from the figure that you like. If you want to make it completely Christmas introduces a fir or pine Christmas, a reindeer, a snowman, a Santa Claus … If you fancy a touch more fun and different can put a type doll LEGO and Playmobil, a toy car or other figure of your favorite characters, like an animal or a superhero. 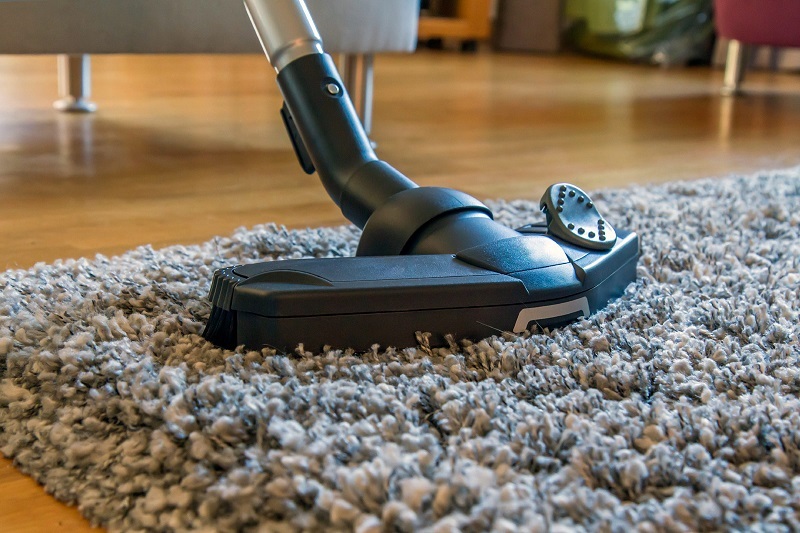 To avoid damage with water choose those that are ceramic or plastic, the metal may be oxidized. If you build your scene on the lid of the jar put glue or hot glue on the base. You can even sanded first to be rougher and the product used adhere better. Place the figures or toys while it is still fresh. If the item you are about to paste has a very narrow basis can help small stones that serve to surround the object and thus give greater stability. Do not make a very wide scene cannot place the glass later. Wait until the glue is dry to incorporate the water. 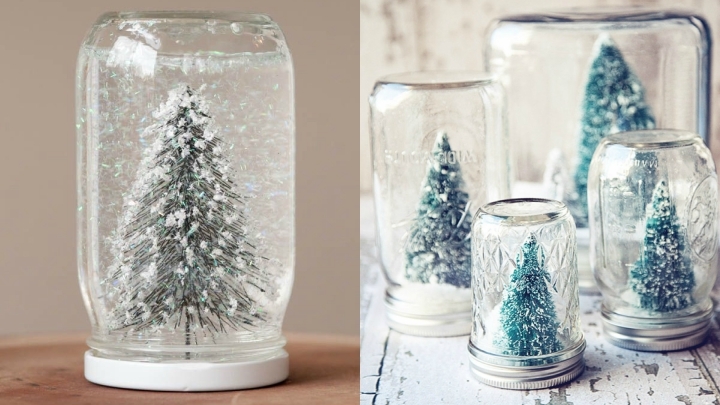 If you want to make it more dense, add two tablespoons of glycerine and snow or glitter fall more slowly. If you do not have glycerin can be served with baby oil. When you close your ball seals the lid with glue around it well, to prevent water from seeping out.